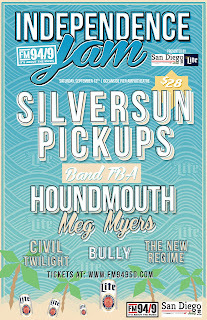 San Diego, CA: San Diego’s #1 Alternative Station, FM 94/9 (KBZT FM) has announced the lineup for Independence Jam 2015, Saturday, September 12th at the Junior Seau Oceanside Pier Amphitheater. 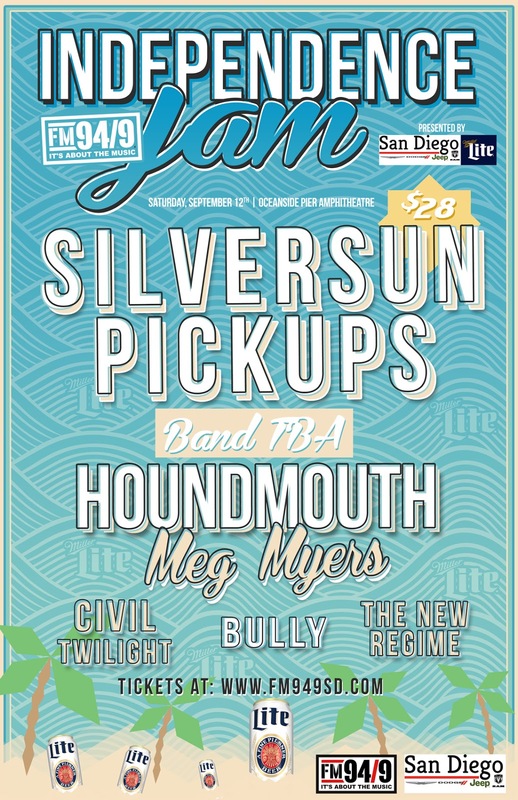 The lineup includes 7 bands on two stages, toasting the coast in Oceanside: Silversun Pickups, Meg Myers, Houndmouth, Civil Twilight, Bully and The New Regime. The lineup will also include one additional act that will be announced on July 22nd. The Oceanside Pier Amphitheater has served as the backdrop to many previous Independence Jam events, which have included such acts as The Black Keys, Kings of Leon, Interpol, Cold War Kids, Phantogram, Rocket from the Crypt and many more. Tickets for Independence Jam 2015 are available now. More information can be found on the station’s website at www.fm949sd.com.